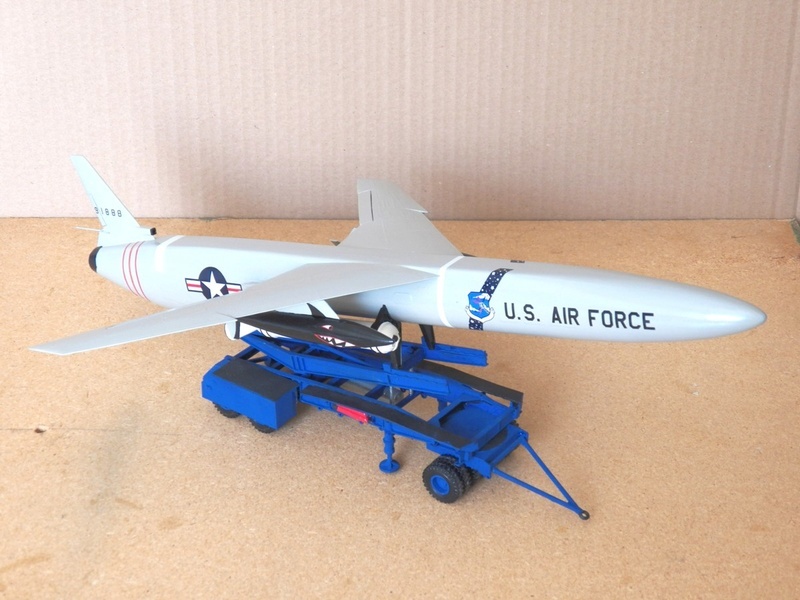 My most recent build of a Lindberg kit : the Northrop SM-62 Snark in 1/48 scale. 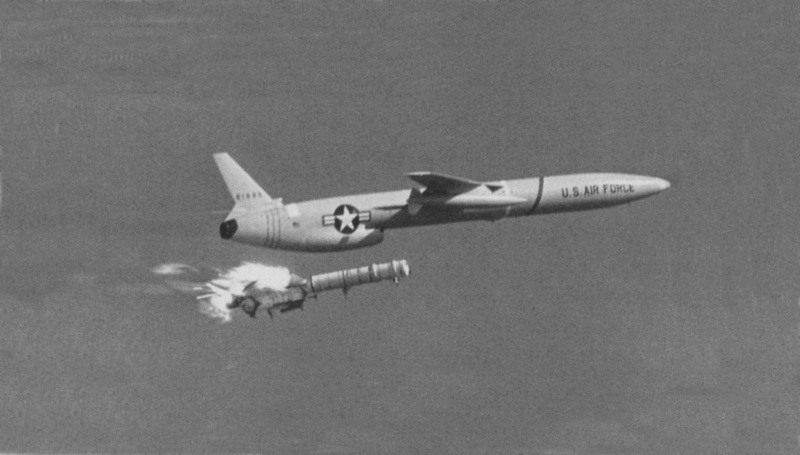 In 1946, the USA lauched the study of intercontinental missiles for two reasons : firstly, they considered that heavy bombers will be soon obsolete because of the progress in defensive armament and, secondly this type of missile should be reality thanks to the improvement of turbo-jet engines. 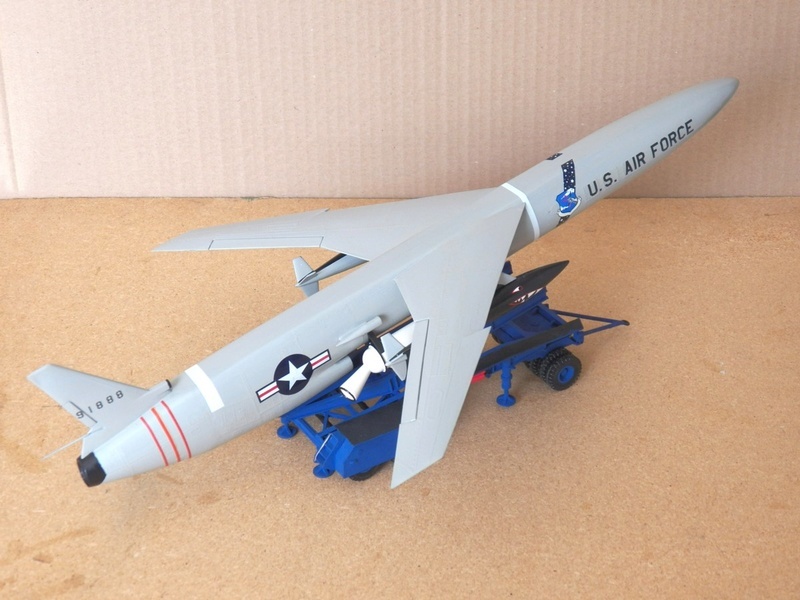 Althoug being a pilotless machine, the missile is registered in the bomber category being designated "Northrop B-62". 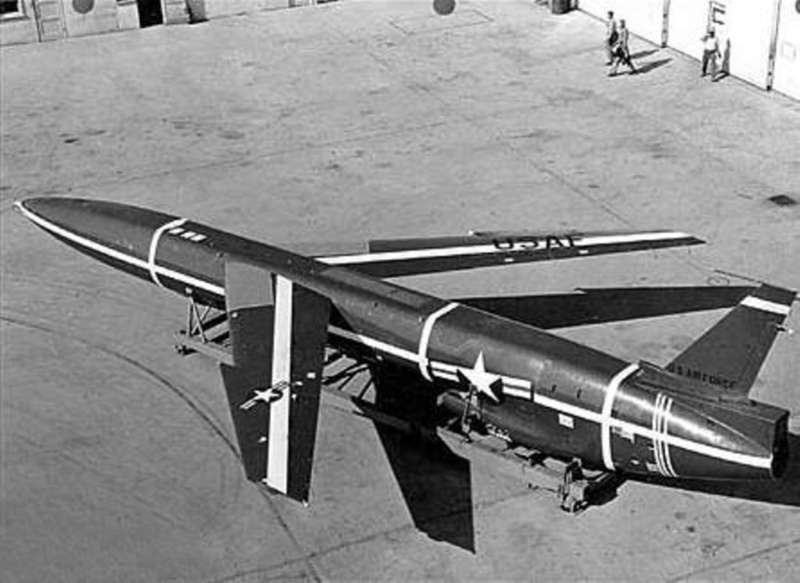 That has been also the case for B-61 to B-65, B-67, B-68, B-72, B-75, B-76 to B-78, B-80, B-83 and B-87, originally bombers, becoming missiles as TM-61 Matador, SM-62 Snark, GAM-63 Rascal, SM-64 Navaho, SM-65 Atlas (rocket), GAM-67 Crossbow, SM-68 Titan (rocket), GAM-72 Quail, SM-75 Thor (rocket), TM-76 Mace, GAM-77 Hound Dog (then AGM-28), SM-78 Jupiter (rocket), SM-80 Minuteman (rocket), GAM-83 Bullpup (air to air nuclear missile) et GAM-87 Skybolt. 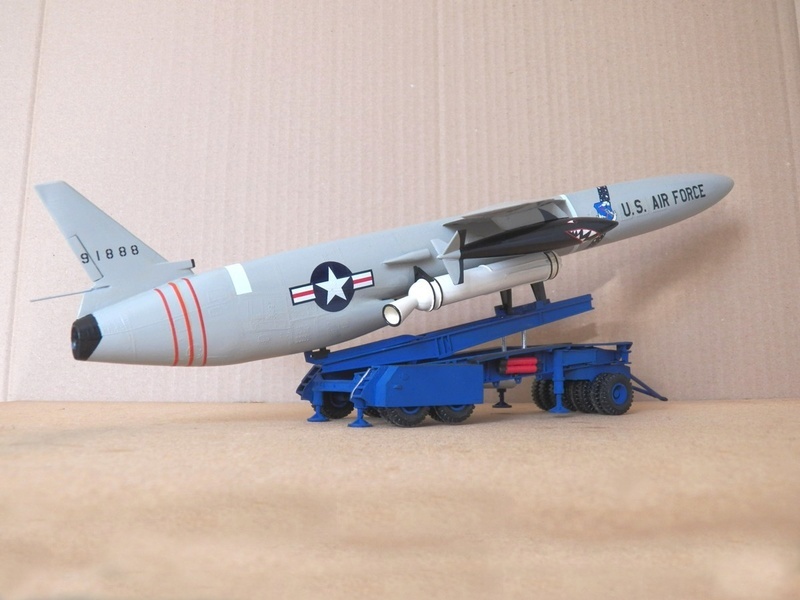 First models of the Snark (a word made of contraction of Snake and Shark and imagined by Lewis Carrol) were designated Northrop N-25 that were a little sorter than the definitive Snark with a lenght of 15,90 m (49.21 ft) and a wingspan of 12,80 m (39.37 ft). 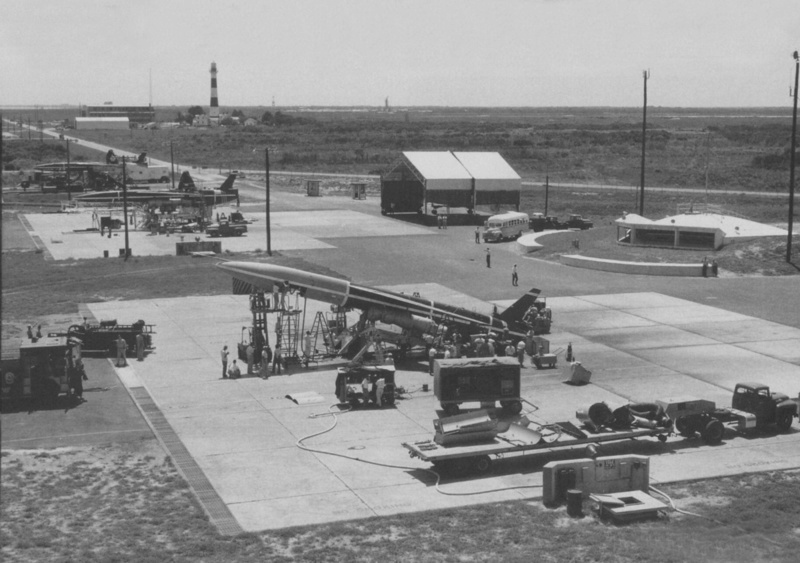 First launches took place in April, 1951. 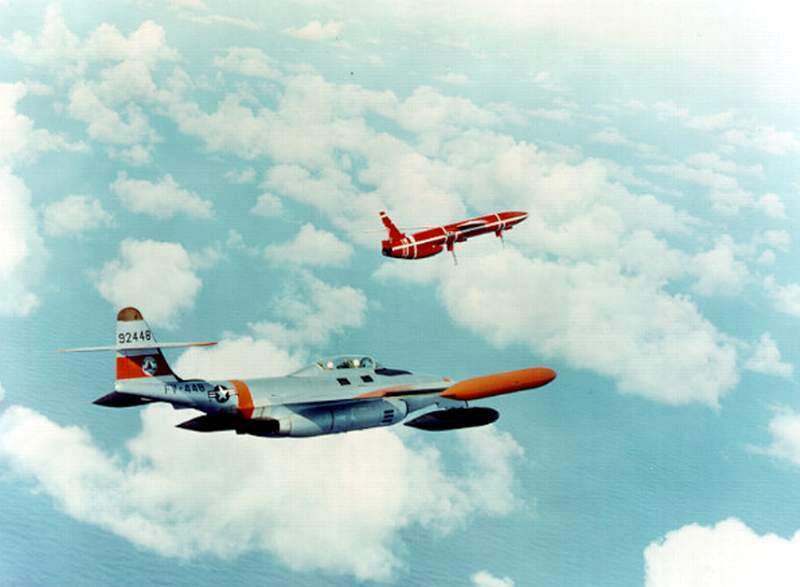 N-25 were propulsed by an Allison J33 turbojet and take-off is assisted by two Aerojet General boosters developpeing a total 21 t (46,300 lb) of thrust. 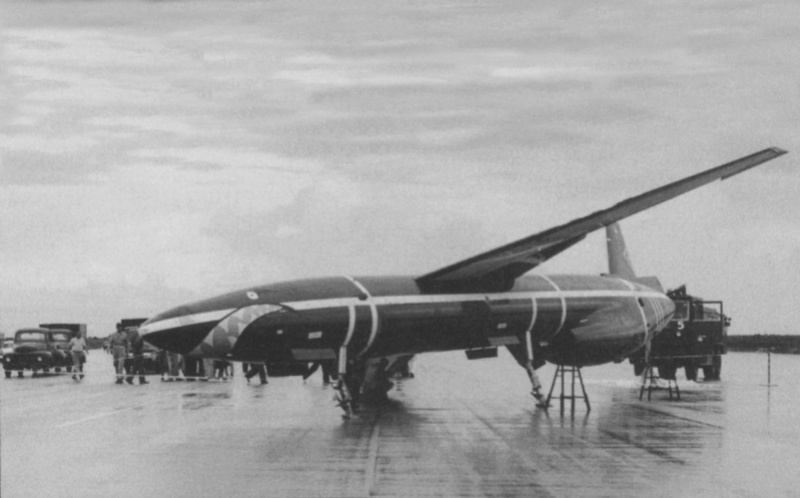 Snark was a semi-tailless airplane and horizontal tailplane was replaced by "spoilers" on the uppersurfaces of the main wing. 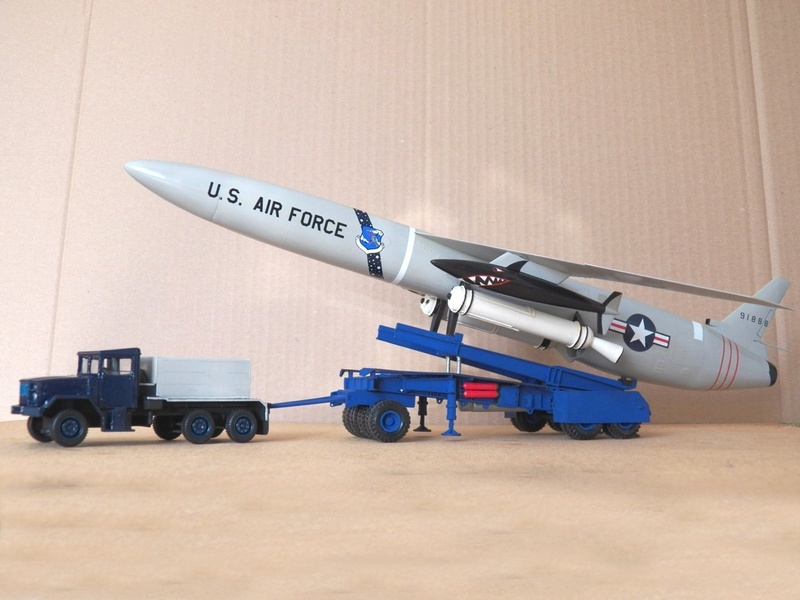 A total of 66 XSM-62A and 51 operationnal SM-62A have been produced. 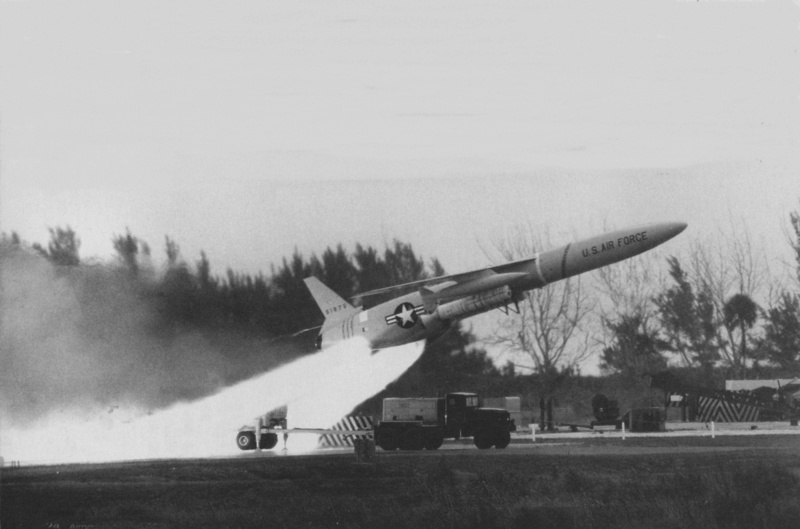 To avoid the destruction of experimental machines, early test vehicles were fitted with retractable skids for recovery following evaluation flights. 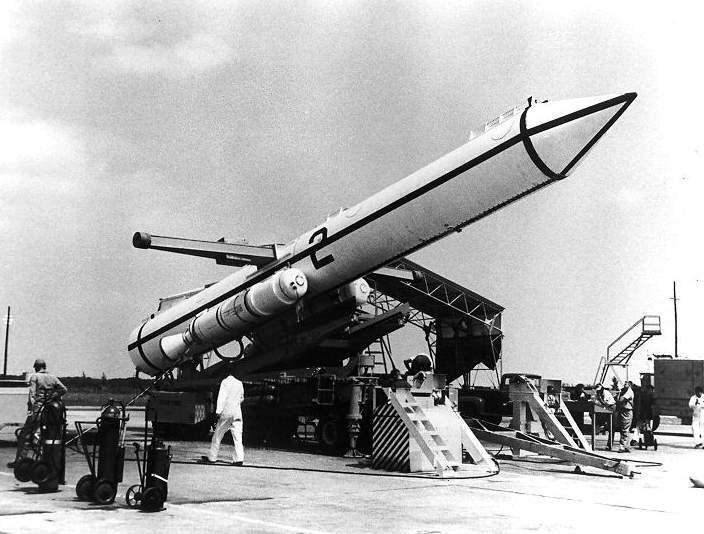 Those XSM-62 were painted red with white stripes. 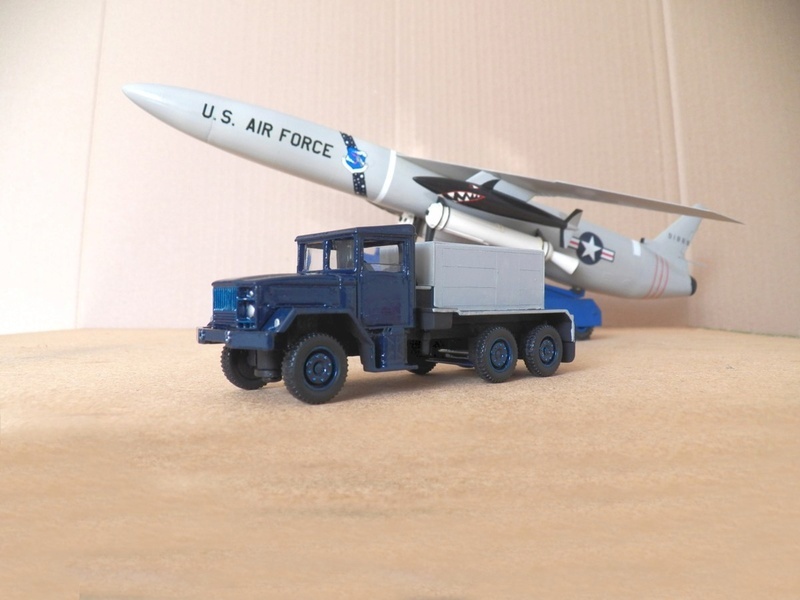 Standard operationnal Snarks have an elongated fusemage by 21 cm (about 8.3 inch) because of the atomic load W-139-Y. Turbojets is now the Pratt & Whitney J-57 de 5,5 t (12,125 lb) of thrust permitting the Snark to attain Mach 0,93 at an altitude of 20 000 m (65,600 ft) and at a weight of 30 t (66,150 lb). 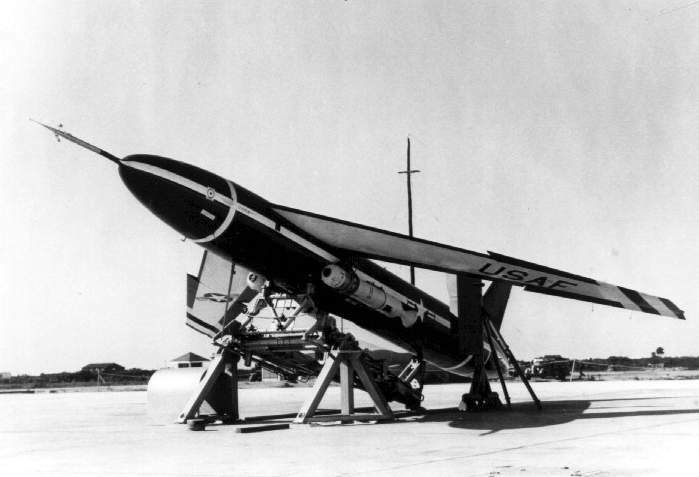 Jato is composed of two « boosters » of totaol thrust of 65 t (143,300 lb). 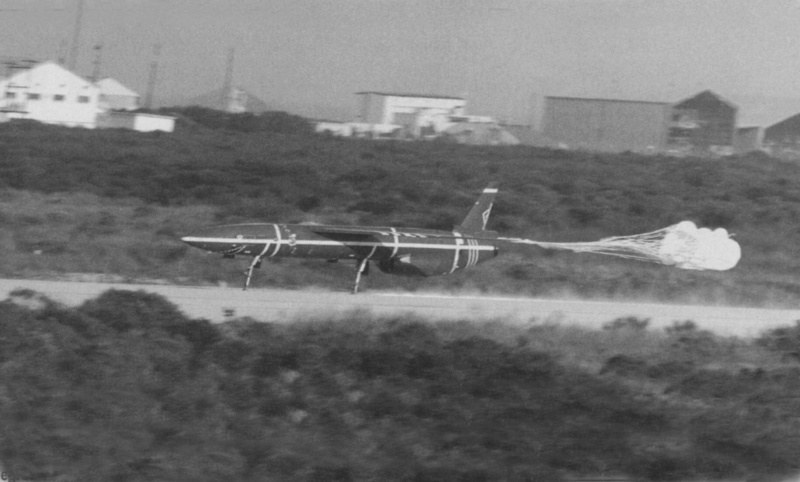 Two extra fuel tanks under the wings allowed the Snark to fly on a distance of 8 850 km (5,500 mls). 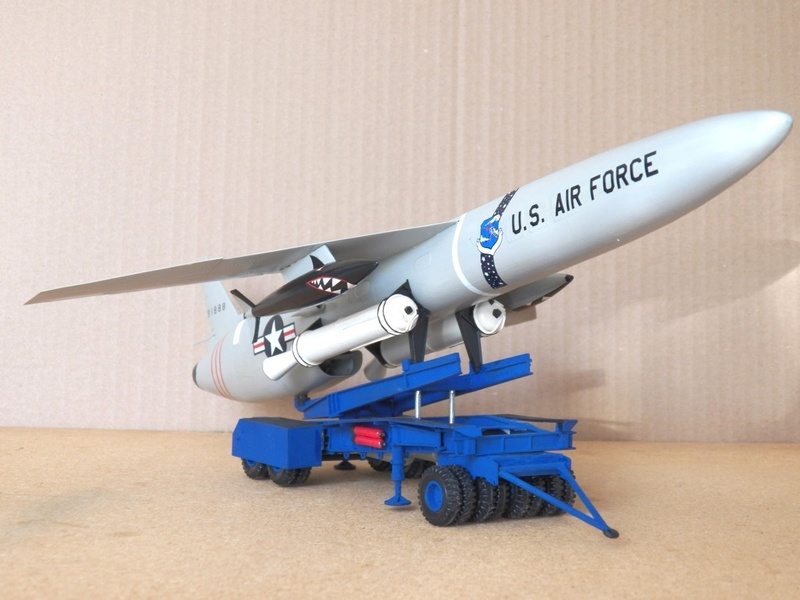 For an identical range, the Snark cost only 1/5 of the price of a Boeing B-52... Snark are deactivated in the year 1961, replaced by the Convair SM-65D Atlas intercontinental missile. During their operationnal career Snarks were painted satin medium grey (FS 26440) and their markings have variations. 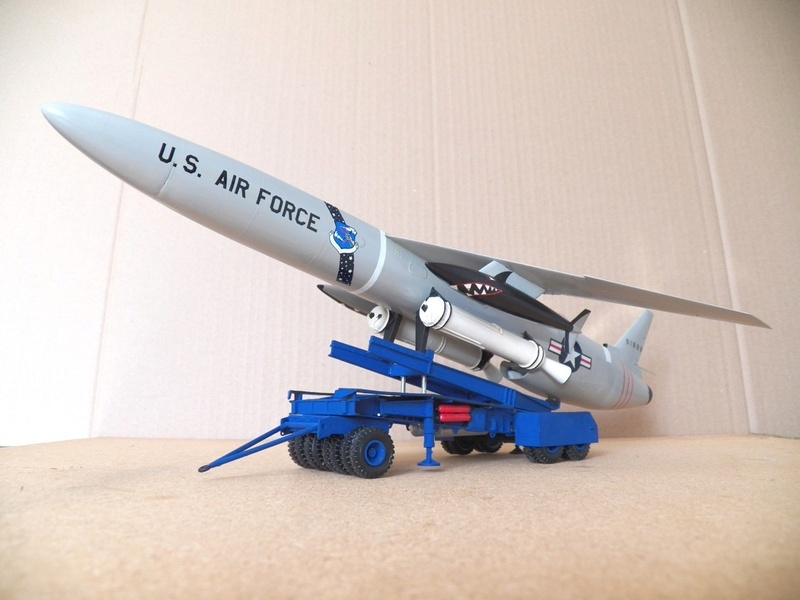 The one that I present you is the Lindberg kit in 1/48 scale. I don't know the exact year of its first edition. 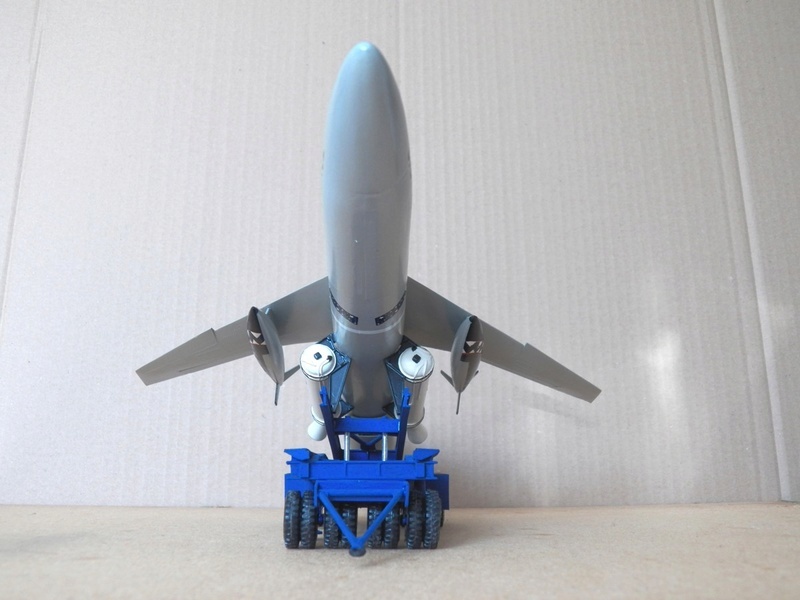 The kit is the reproduction of an XSM-62A and I had to modify it to obtain an SM-62A by suppressing the tail parachute-brake and by improving the tailplane of the extra fuel tanks. Markings are made of parts of decals and apart from the stars, they are little oversized. 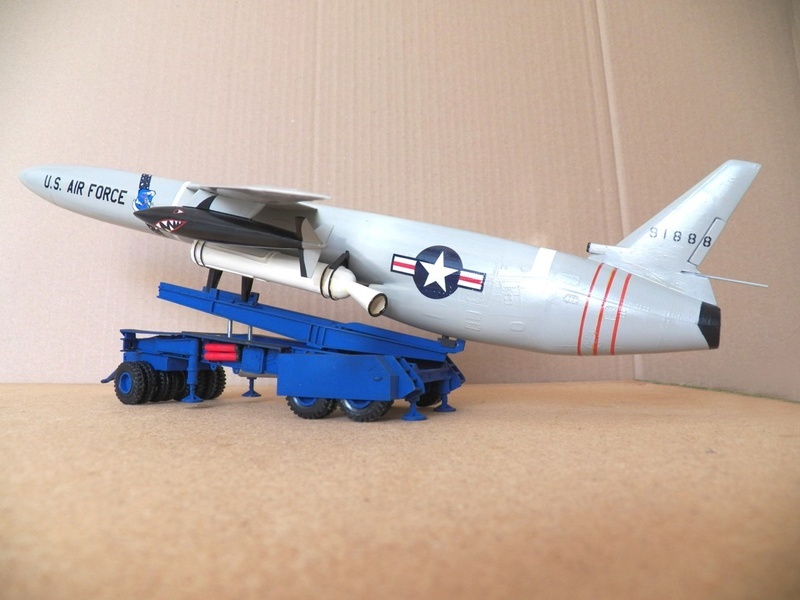 Re: Northrop SM-62A Snark, Lindberg, 1/48.